The innovative Camper Tops are part of the range of quality camper trailers and associated products available from experienced supplier Camel Group - Johnnos Camper Trailers. 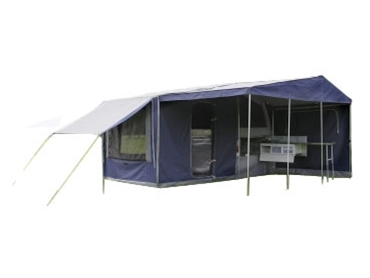 The gas strut assisted up deck of these camper tops allows access into the trailers from outside when packing while the trapdoor beneath mattress allows access into the trailers from inside the tent. A quality rubber seal on the deck prevents dust from entering the trailers and a zip on tonneau cover provides ease of access.